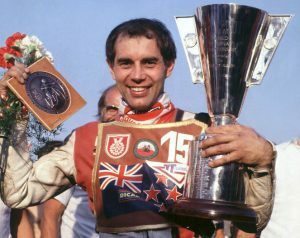 Tributes are flowing for IVAN MAUGER OBE MBE, the most successful and decorated speedway rider ever, who passed away on Monday 16th April aged 78. He was the winner of 15 speedway world titles and hundreds of international events. Ivan is the only rider to have ever won three consecutive world titles in 1968, 1969 and 1970. He went on to win a further three world titles in 1972, 1977 and 1979, a record of six world solo titles which has never been surpassed. He was runner-up in 1971, 1973 and 1974, and third in 1967. Between 1968 & 1974 he was never out of the top three. He has also won three world Long Track titles in 1971, 1972 and 1976, four times World Team Cup winner in 1968, 1969 and 1971 riding for Great Britain, and in 1979 as Captain for New Zealand, and twice world pairs champion in 1969 and 1970. He was named New Zealand Sportsman of the Year in 1977 and 1979 and inducted into the New Zealand Sports Hall of Fame in 1990. Ivan was also named the sport’s ‘Man of the Millenium’ by the Speedway Star magazine in 2000. He was selected to carry the Olympic Torch at the Sydney Olympic Games in 2000. 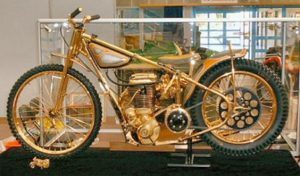 Mauger’s ‘Triple Crown Special’ bike which he rode to win his third consecutive title in 1970 was gold plated by two American speedway fans George Wenn and Ray Bokelman. 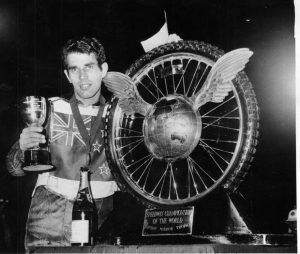 They told Mauger if he won the title for the third time, they would gold plate his bike, and true to their word, the bike was taken back to the US and made golden. It took 18 months and cost nearly $700,000 NZD. The bike and other memorabilia were recently purchased by the Canterbury Museum in Christchurch for $1.7 million, the largest ever purchase in the museum’s history. 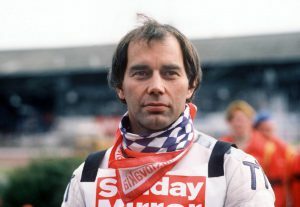 Ivan Mauger was born in Christchurch, New Zealand in 1939. 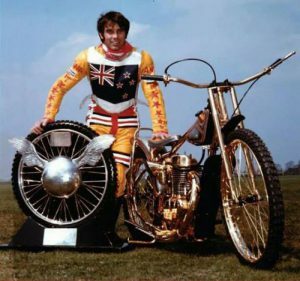 Inspired by the success of fellow New Zealand speedway rider Ronnie Moore, from the age of 12 Mauger dedicated himself to becoming speedway World Champion. Ivan met wife Raye when he was 14 and she was 13. He bought his first speedway bike that same year. Mauger first traveled to England as a 17-year-old in 1957 with his teenage wife Raye and rented a one bedroom flat in Wimbledon, just around the corner from Plough Lane, the home of the Wimbledon Dons where Ronnie Moore and Barry Briggs reigned as the “Kings of the Cinders’. He worked as a groundsman at Wimbledon Stadium and cleaned the dressing rooms, toilets, pits, and workshop. At nights he competed in the second half ‘Faces of the Future’ races. He returned to New Zealand at the end of the season and spent several years racing in meetings in Australia and New Zealand gaining experience and winning local titles. His breakthrough came in 1963 when he returned to England with Raye and his young family and joined the Newcastle Diamonds. In 1966 he qualified for his first World Final finishing fourth. He won the first of his record-breaking six World Championships in 1968. Mauger joined the Belle View Aces in 1969 where he had his greatest league team successes, leading the team to league championship titles in 1970, 1971 and 1972. He won the league title again in 1974 with the team he molded, the Exeter Falcons. In 1978 he joined the Hull Vikings and won his sixth World Championship title in 1979. The first rider to win World Speedway, World Longtrack, World Pairs and World Team Cup Championships. Ivan was the Christchurch boy who took on the world and won. He didn’t just win, he completely dominated the sport like no rider before him or since. 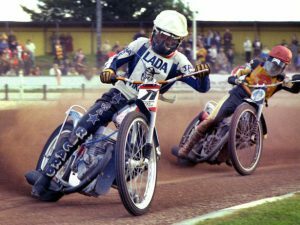 In an era when speedway’s popularity as a spectator sport was only eclipsed by football, he was the biggest star. He brought a new level of professionalism never seen before in the sport both on and off the track. He was the first to wear colored leathers in an era when all riders wore black. Ivan took enormous pride in the way his bikes and entire setup were presented. 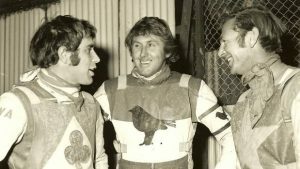 Aranui Speedway in Christchurch has produced three of the greatest riders of all time in Ivan Mauger, Barry Briggs and Ronnie Moore collecting 12 world titles between them. Speedway was a very big deal in the 50s, 60s, and 70s and these three New Zealanders were the kings. Ivan retired from racing and moved to the Gold Coast in 1987, but continued his involvement in the sport as a promoter, running training schools and mentoring young riders. He had been suffering for several years from a form of Dementia. 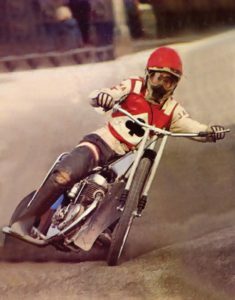 Ivan Mauger was my first boyhood sporting idol, and the reason I began my own speedway career. As a ten-year-old boy going along to Western Springs Speedway in Auckland, New Zealand I watched Ivan bring his World Champion Troupe to town. He was at the height of his career and his name could fill the stadium. When I started racing in my teens I attended his training schools he ran when he was in New Zealand, and got to know him as a rider. His son Kym had begun racing and was there also. A couple of years later when I made my way to Britain as all ambitious riders did, I had signed for the Sheffield Tigers and Ivan, then semi-retired was the team coach. Kym also had some rides for Sheffield and other teams. There were several fellow New Zealanders in the team, so I felt right at home. I met Ivan again numerous times over the years at speedway meetings in Australia and New Zealand, and at his book signings a few years ago for ‘The Will To Win’. He was still the ultra-professional I always knew. Ivan has given me a lifetime of inspiration and memories. R.I.P. Ivan Mauger. Did you ever see Ivan Mauger race? Please share any stories or memories you have below.